Welcome to Sunshine Family Yoga! We offer a nurturing community and wisdom sharing for pregnancy, birthing and parenting. 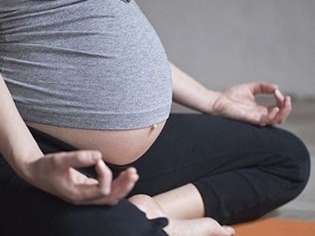 Prenatal yoga classes are for all trimesters and on-going. Our fun early childhood yoga classes bring families together with littles from 4 weeks to 10 years, including a postnatal mom and baby class. Zumbini® is a NEW early childhood music and movement class, with that fun Zumba® inspired rhythm! Dance and sing with your 0-4 year old littles. Our Yoga for Schools brings yoga to your preschool, childcare center and early elementary setting. Family yoga offered on site, for younger siblings, as space allows. Other offerings include: FREE Postnatal Planning Guide, personalized Rebozo Care, Bump to Baby Comfort Techniques class, etc. Our classes are as much about community and wisdom sharing as they are Yoga, Zumbini®, etc. Prenatal and Prenatal Flow are on-going. All other classes are offered in a 4, 5 or 6 Week Session. All early childhood classes are "developmentally delicious". Most classes are shared with a parent/caregiver. We offer one kids only class, called Sunshine Youth Yoga. No worries about littles moving and making noise, that’s what yoga play is all about! Drop-ins are welcome, at an increased rate, when space allows. Try your first class, and pay after! First Zumbini® class is FREE. Registration needed. Click images below for details. On line payment is now available for our yoga classes! Most of our providers accept cash or checks at time of class. Register and pay for all Zumbini® classes on line. Postpartum Plan - Going Beyond the Birth. Planning your newborn parenting time often gets lost in the preparation for birth. We are here to help you prepare before your baby is born! Your postpartum guide will be sent directly to your email. You and your partner will practice Doula inspired comfort techniques, as you connect with each other and baby. As an extension of heart and hands, partners learn Rebozo Care to support pregnancy changes, promote relaxation, and prepare for birth. Information for pregnancy, birthing, parenting, family yoga. Books and resources. We've also included our FREE Postnatal Planning Guide.